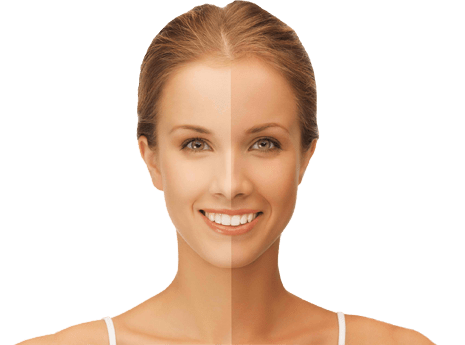 More than a fad for many people, tanned skin has become an obsession that can bring serious consequences, either by excessive direct exposure to the sun or through the use of special beds or lamps. The following information may be of vital importance to you. A recent dermatological research conducted in the United States indicates that approximately 80% of the damage caused by exposure to sunlight or artificial tanning (such as cancer, wrinkles and eye problems) occurs before we reach 18. The same study states that 40% of the adolescents in the country, between 13 and 19 years old, have used tanning beds, with 28% of them having used them least three times. Before explaining why we should pay attention to this aspect, it is worth remembering that the Sun is responsible for various types of light: visible light, infrared rays (radiation wavelength shorter than light) and ultraviolet rays (above the common light). UVC - a germicidal light that doesn’t reach the Earth's atmosphere because it is stopped by the ozone layer. UVB - They can stimulate the generation of skin pigment, but at the cost of numerous side effects, from burns and ulcers to skin cancer, especially in the case of prolonged exposure. Their effects are cumulative long-term, it may also affect the eyes. UVA - They also generate tanned skin, and, although traditionally they were thought not to affect health, skin damage actually does occur. But the concept that sunlight improves the condition of those who have certain health problems is not new. Acne - a skin condition characterized by the presence of pimples (pus-filled pimples or blackheads) on the face, back, chest, shoulders and neck. Climacteric - the lack of female hormones from the last menstrual period (menopause) results in marked changes in the status of women, manifesting as physical and mental fatigue, excessive sweating, sudden waves of heat (hot flashes), fatigue, frequent depression, anxiety and irritability. Osteoporosis - decreased bone mineral density (calcium and collagen), due to lack of estrogen, which causes bones to become porous, thin and frail. Psoriasis - a skin lesion characterized by thickening, redness, swelling and peeling. Rickets - weakening and softening of the bones. Rheumatism - a group of diseases that are usually manifested by painful swelling in the muscle and fibrous parts of the body (cartilage, bones and joints). Similarly, the sun increases the efficiency of the immune system (which protects us from attacks by microorganisms) and has a positive effect on our moods. As we can see, a moderate dose of ultraviolet rays will be well received by the body. I and II -Very clear, easily burning and tanning is almost nil. III and IV - Light or dark coloured eyes and brown hair; tan is gradual. V - Clearly tans easily and deeply; skin rarely burns. Horizontal - tans the body and face alike; the user can lie down and rest while the machine does its job. Vertical - the customer is standing in front of tanning lamps. Tans the whole body. Facial - its application is based solely on the face and the chest. The customer may be lying comfortably. It is useful to know that tanning machines use a series of filters that remove radiation type B and only allows type A. Some studies indicate that the proportion is 95% UVA and 5% UVB. However, the continued use and lack of maintenance of the above equipment may result in the filters failing and which damages the skin further. This has caught the attention of European and American regular lamps users, and a display lights alert shows when the equipment needs maintenance. In Spain, for example, the number of melanoma cases (skin cancer) has tripled in the past 20 years, and an equally bleak outlook for eye diseases, such as cataracts or corneal injuries is contemplated because of exposure to ultraviolet rays. Meanwhile, the prestigious American publication, the Journal of the National Cancer Institute, says that people who use tanning lamps are up to four times more likely to develop skin cancer. As a result, health authorities in the same country have included UVA on the official list of agents responsible for this damage. If despite the above mentioned you still contemplate the idea of using tanning beds, you should consider a site that offers a clean and professional service and warns you about the effects (both positive and negative) that exposure to ultraviolet rays may have. You should also check that the equipment used is subjected to regular maintenance and that the staff is qualified and properly trained. Serious establishments prohibit the use of tanning devices to persons under 18 years. Must provide appropriate equipment, such as tanning goggles, to protect their eyes from ultraviolet rays. Sunglasses are not effective. Each session will last for 4 to 12 minutes, depending on the customer’s rush for tanning. 12 minutes would be recommended for a very advanced sunbed user. This would be way too much for a newer user. Remove any makeup or perfume, and dispose of jewellery, metal objects and contact lenses. Between one session and another, you must wait at least 48 hours. Moisturise the skin after tanning with a suitable product. Tell the salon specialist if you use any drugs, including medications because they can create reactions when exposed to the rays. 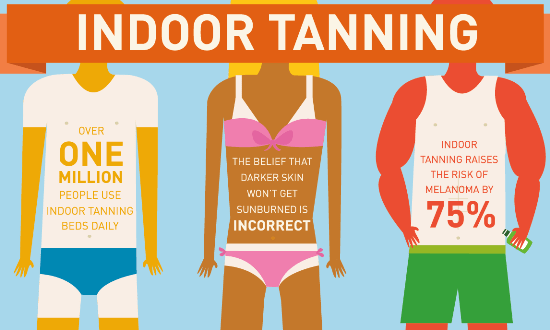 Do not expose yourself to the sun after a tanning session. UV beds should not be used by pregnant women and people with symptoms of heat stroke or burnt skin. If skin cancer runs in the family then you should never use a sunbed or tanning lamp of any kind. Please take note that experts believe that more than 30 sessions a year can be dangerous. Exceeding 50 sessions may cause premature ageing of the skin, burns, stains, wrinkles, sagging and, in the worst case, melanoma skin cancer or depletion of the immune system. In the last year, there have been approximately 1.3 million cases of skin cancer in the United States, which should make us reflect and warn our teens, especially those who enjoy the beach and the sun, and those who are potential customers of artificial tanning beds.